Chroma-Q will officially launch two new innovative products at Prolight & Sound on the stand of their exclusive UK distributor, A.C. Entertainment Technologies (AC-ET) Ltd – E63, hall 9.0. 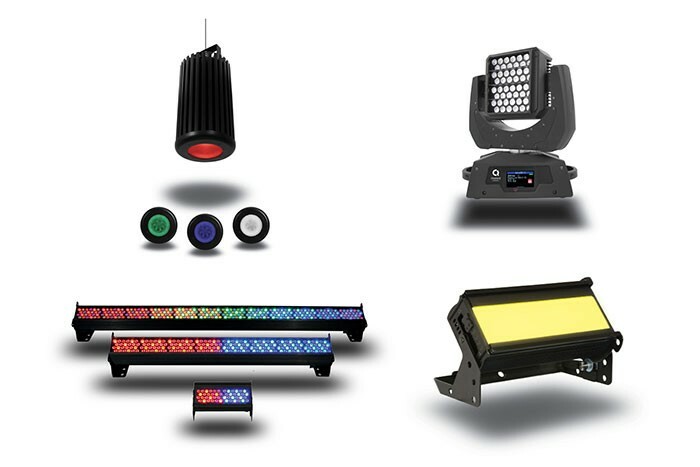 The AC-ET stand will provide the exclusive EMEA tradeshow unveiling of the already award-winning Chroma-Q Inspire LED house light and the new AutoLED II moving head fixture. The Inspire house light is a powerful multi-purpose creative lighting tool that provides a choice of beautiful whites, soft pastels and bold saturates – all from one fixture. With fully homogenised colour mixing and a choice of three different lens options, the Inspire provides an excellent selection of stunning mixed colours and 'true' whites, with no unsightly colour separation shadows. It also features an energy-efficient compact LED design providing reduced maintenance and running costs. The AutoLED II is a 6,500K* CCT daylight white LED moving head fixture that boasts an extreme 16,430 hot lumens output for ultra bright, long distance throw. Designed specifically for providing precise daylight illumination of motor industry tradeshows, fashion events and retail environments, the AutoLED II incorporates DMX control, allowing it to be operated from any DMX enabled lighting console. A selection of other Chroma-Q intelligent LED lighting products will also be on show including the award-winning Studio Force Phosphor and standard Studio Force white lighting ranges, as well as the hugely popular Color Force range of RGBA colour fixtures. For more information or to receive demos at Prolight & Sound, visit the AC-ET stand (E63, hall 9.0).